As much as we know a white Christmas is far from happening in the tropical island of Singapore, here’s some ice-breaking news to get you pumped for the season. 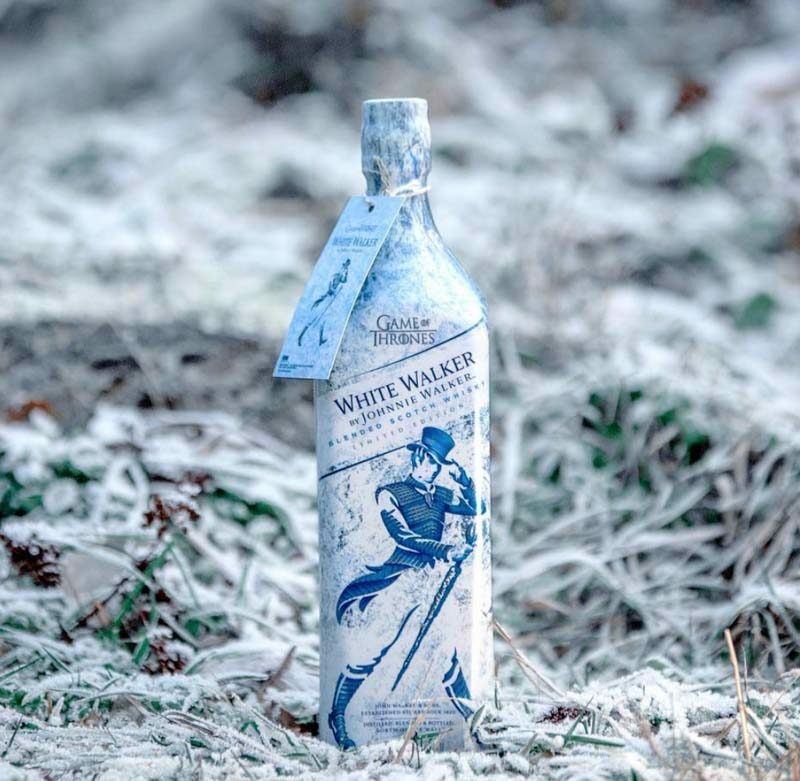 World’s best whisky brand Johnnie Walker recently collaborated with the sensational HBO television series Game of Thrones, to bring you White Walker by Johnnie Walker. From 1 December 2018, the 700ml bottle will be available on Redmart, 1855 The Bottle Shop and Cold Storage. If you’re a crazed fanatic over the soon-to-end series, you would know that the name is inspired by the iconic supernatural creature in the show, often walking around with ice spears. 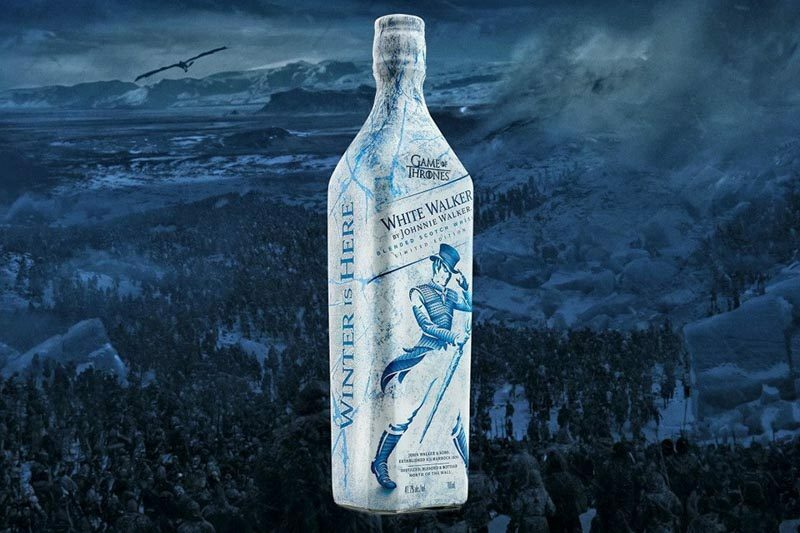 The classic blue and white bottle tweaks its design by having Johnnie Walker’s icon of a walking man don the armour of the feared White Walkers. With temperature-sensitive ink, the beverage is meant to be served chilled from the freezer, where the message ‘Winter is Here’ is revealed on the side of the bottle. Well, that’s one way to send chills down your spine. This edition takes on a fruitier character, incorporating ‘notes of caramelised sugar and vanilla, fresh red berries with a touch of orchard fruit’. Reeling from the despair that the final season of Game Of Thrones is airing next year? Induce the blues with White Walker by Johnnie Walker because winter is ending. Sigh. Prices: S$75 per bottle, for more information on pre-orders, check out their website.